Earlier this month, I received Pin Game Strong in the mail. Just by looking at it’s cover, I knew it was a book meant for me. But when I opened it, I found out that it really was meant for me, and pin collectors all over the world. 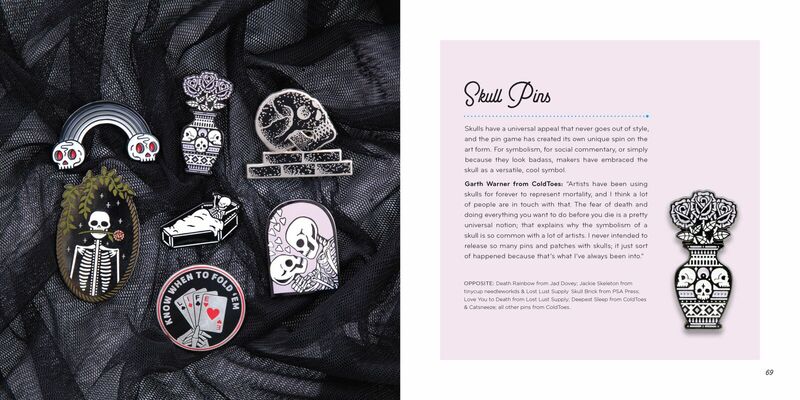 Pin Game Strong focuses on a couple things that have to do with pins; collecting, creating, and celebrating them. This means the there is information on how to do those things. As an avid pin purchaser, it was neat to see things laid out so well, with beautiful photographs of pin flat lays all over the place. I also really loved that there are specific shops featured (big shouts to Oh Plesiosaur, who I’ve bought from numerous times, for being a part of this book! ), and their handles (instagram, mostly), are put in the book so if you see a pin that you like, or a creator you want to follow, you can. I think a big thing about the pin collecting world is community, and this book really embraces that. I absolutely loved reading this, and I like that I can flip through it whenever I need inspiration. 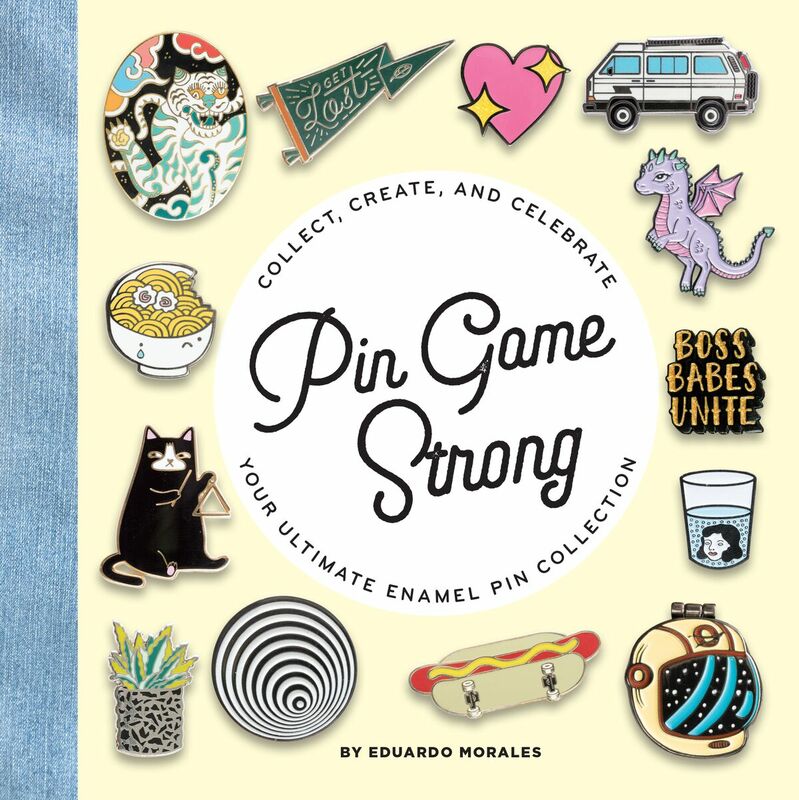 Pin Game Strong: Collect, Create, and Celebrate Your Enamel Pin Collection by Eduardo Morales comes out October 16th, and if you like pins, you should order it. You can preorder a copy at Barnes and Noble, Amazon, and anywhere books are sold! All images and pins depicted are copyright of their respective owners.